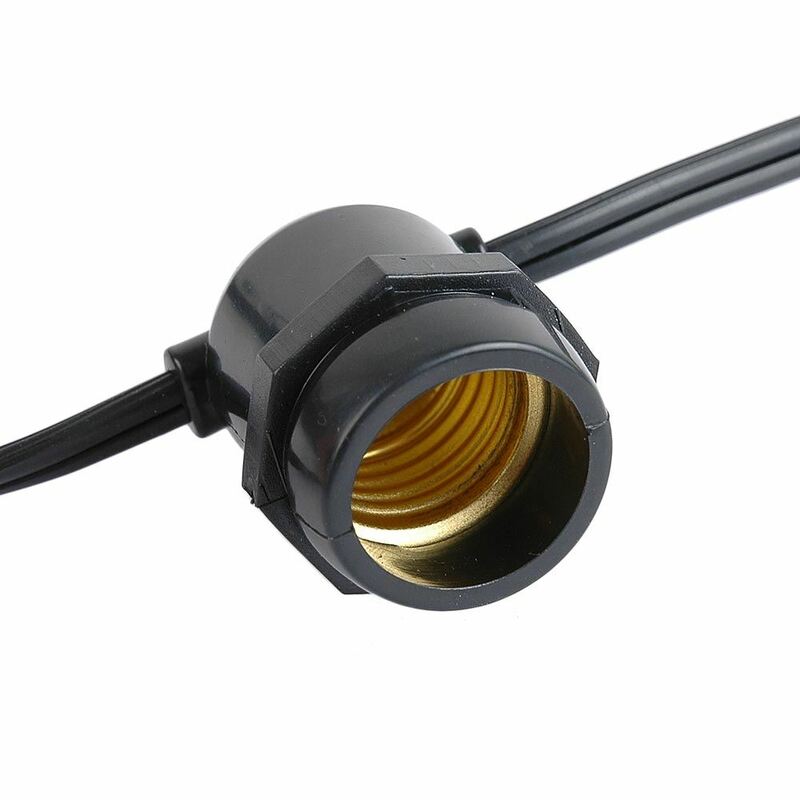 Our E26 intermediate base heavy duty light strings are available in 37.5', 100', and 330' lengths on both Black and White wire. 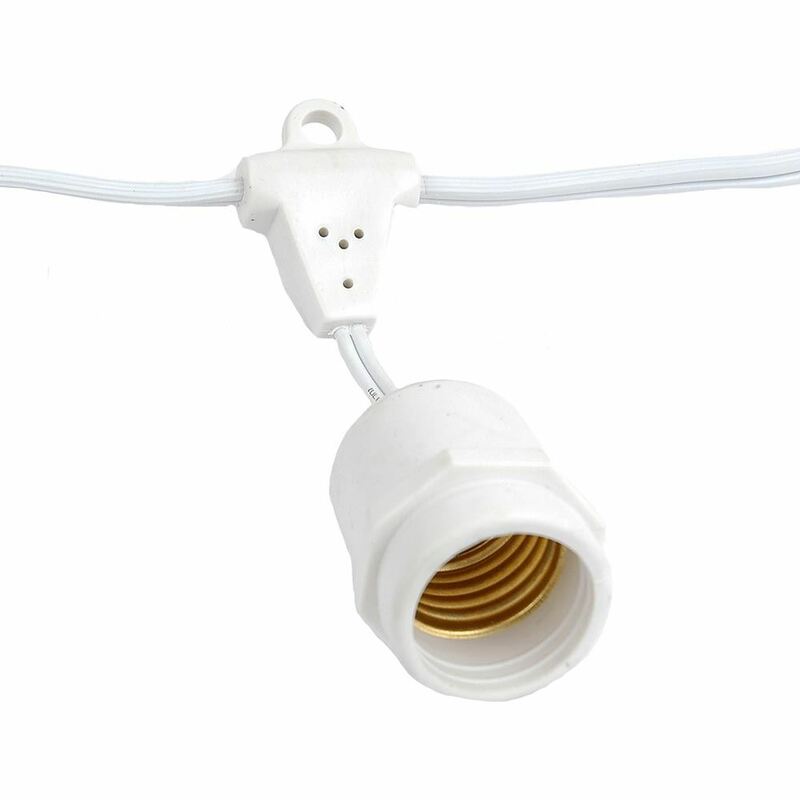 The 25 light/socket strings have 18" spacing between bulbs and are 37.5' long. The 100' and 330' sets have 24" spacing between sockets. 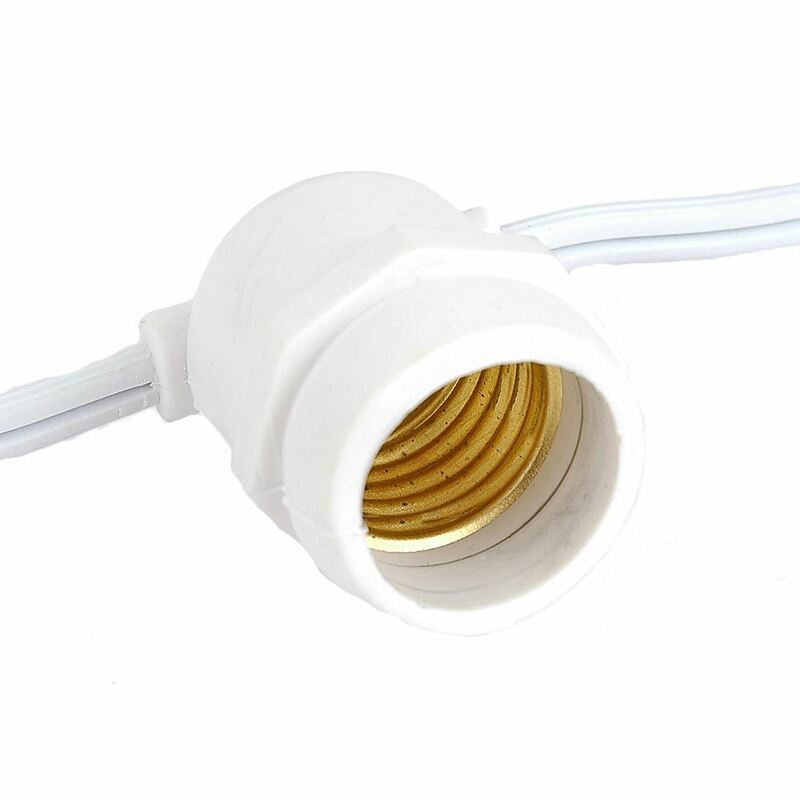 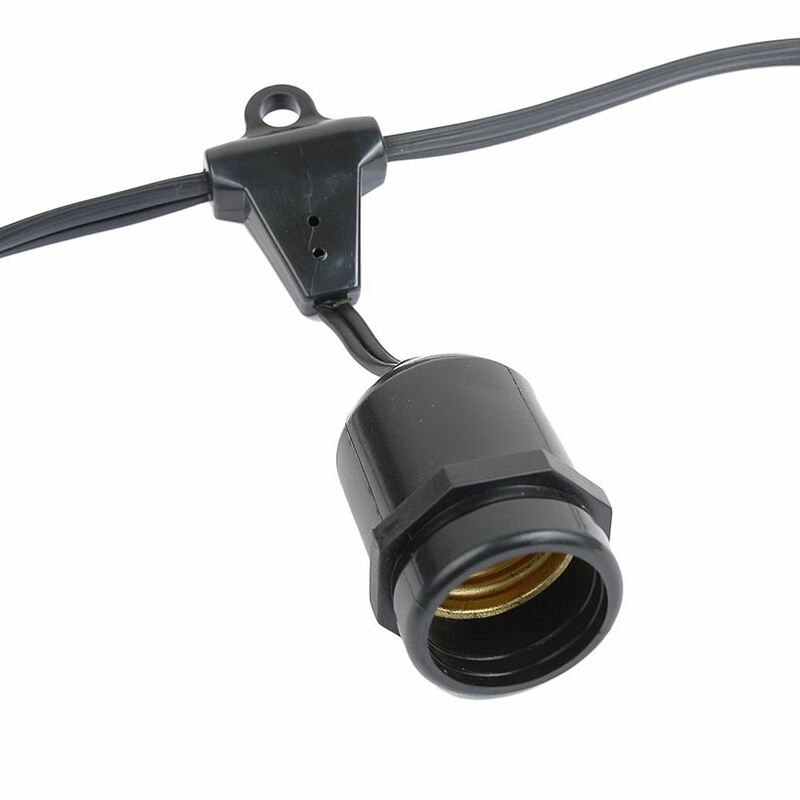 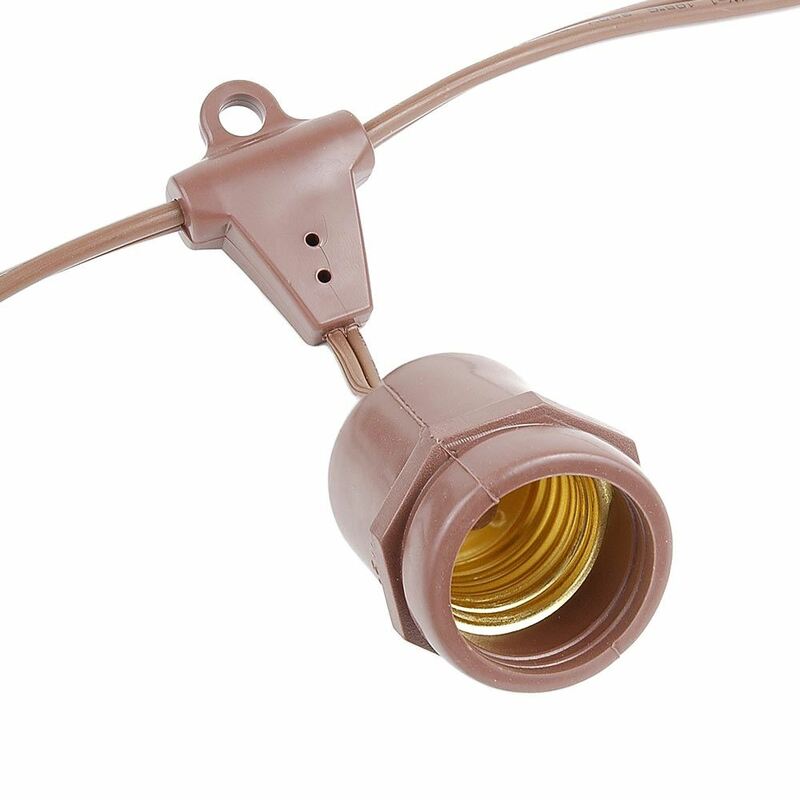 Our E26 outdoor light strings will use our S14 LED or incandescent bulbs.